The adventures of intrepid reporter Tintin and his faithful dog Snowy has earned much more than cult status. 24 illustrated storybooks of the boy reporter's adventures have sold over 200 million copies worldwide, and the franchise recently spawned a Hollywood film. Now, Somerset House has put on a free exhibition dedicated to the most famous creation of Georges Remi — better known as Hergé. Upon entering this two-room show it's clear they want you to immerse in Tintin's world. Aside from framed prints, there are scale models of the sets made famous in the books — from Tintin's apartment to Marlinspike Hall, the country home of Captain Haddock. Fans of the comic will love spotting references to their favourite stories but what about those who aren't so enamoured with the quiffed one? This is where the exhibition falters; without being given much background on the stories we're simply left to appreciate Hergé's skills as an artist. Somerset House has worked hard to give visitors the full Tintin experience, but this could be made so much more enjoyable with the addition of one simple thing... some copies of the books! 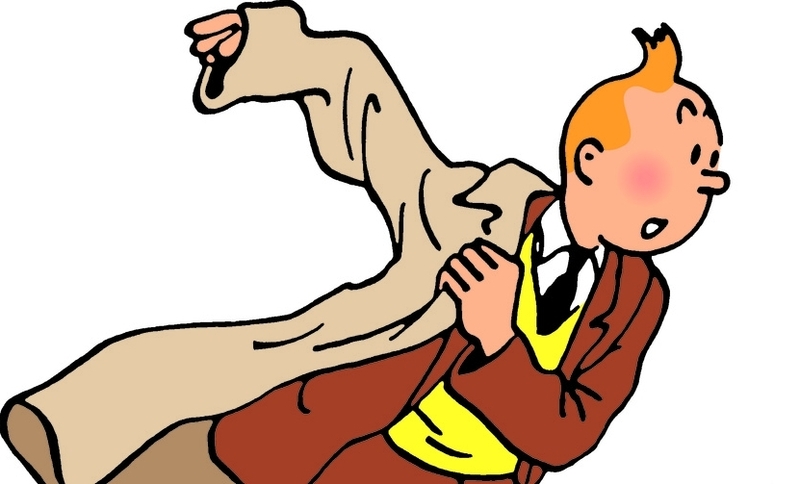 Tintin: Hergé's Masterpiece is on at Somerset House until 31 January. The exhibition is open 10am-6pm daily and entrance is free.